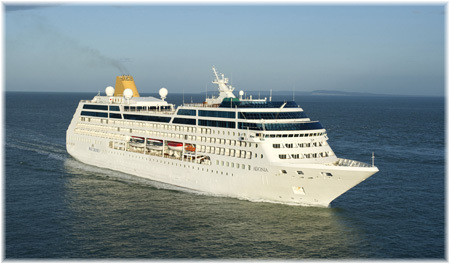 Two lines with different UK connections will each add a ship to the UK market in 2013 when Celebrity Infinity transfers to Harwich and the Carnival Legend to Dover for next year’s summer season. While Celebrity hopes to expand its UK carryings by 70%, Carnival’s ship will be new to the market. At the same time Princess Cruises, another North American-based cruise line with ships in the UK, will introduce its latest Royal Princess in Southampton in June 2013 with two 3-day taster cruises followed by a maiden voyage from Southampton to Barcelona on June 16. This ship will be a precursor to P&O’s new vessel due for delivery in 2015. Finally, we have a look at the differing results of two sets of local British and Spanish cruise awards. In the UK, the once-criticised Thomson Dream takes five awards, Celebrity and Azamara win on best value and P&O, Princess and Cunard don’t score. 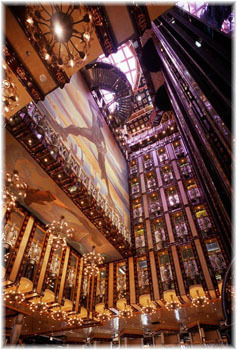 Celebrity Cruises has always had significant UK connections, not only because the Ofer family, who control Zodiac Maritime are significant investors in Royal Caribbean, but also because Celebrity once had its own office with the Chandris shipping group in London even before it was acquired by Royal Caribbean. While Carnival Cruise Lines has less direct ties to the UK, its parent company Carnival Corp & PLC is a jointly-listed company, one half of which is actually based in the UK. 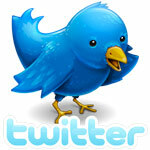 Each line has recently announced the addition of another ship to the ex-UK market in 2013. Celebrity will increase its ex-UK capacity by 70% in 2013 with the announcement of its second ship. Celebrity will add a second UK ship with the Celebrity Infinity, which will offer a full season of cruises from the port of Harwich between May and October 2013. Celebrity Infinity has just had a makeover to bring her up to “Solstice” class standards and will offer a range of 10-, 11- and 12-night itineraries to include Norwegian Fjords, British Isles and European wine cruises. Dan Hanrahan, president and ceo of Celebrity Cruises in Miami, made the trip over to the UK to announce the news last week. “UK holidaymakers are incredibly supportive of Celebrity Cruises and this is demonstrated by Celebrity Eclipse achieving the highest customer satisfaction ratings of all our ships,” said Hanrahan. With this announcement, Celebrity will have a fleet of six ships in Europe, with the Celebrity Constellation, Equinox and Silhouette, as well as the new Celebrity Reflection cruising from the Continent, and Celebrity Eclipse and Infinity from the UK. 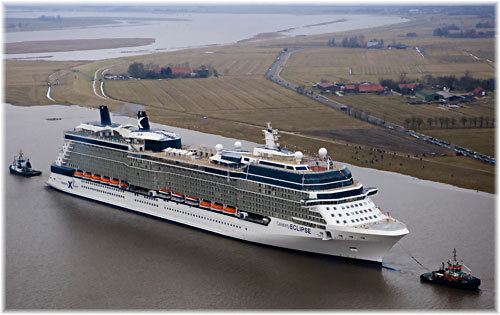 The Celebrity Constellation will also be offering a series of wine cruises from Southampton this autumn. Celebrity has had its own dedicated UK marketing team since 2009, when Michael English, a twenty-year veteran with Royal Caribbean UK, was appointed head of sales for Celebrity and Azamara. Harwich, where Celebrity Infinity will be based, is the only cruise terminal in the UK that is still served by a traditional boat train that run from London’s Liverpool Street Station and pulls into a dedicated station located right alongside the cruise ships. From another line has come news of a new UK-dedicated ship. The UK and Europe have never seemed that important for Carnival Cruise Lines, with its European cruise offers pretty much made by new ships being delivered from European shipyards making a season of cruises in Europe before heading for home ports in North America. Now, however, Carnival Cruise Lines has announced a return to cruising from the UK for the first time since 2008, with its Carnival Legend to be based in Dover in 2013. The 2,124-berth ship, which was named at Harwich in 2002 by Dame Judi Dench, will operate a summer season of seventeen cruises from Dover between April and October. Although UK singer Myleene Klass named the Carnival Splendour in Dover in June 2008, the line was forced to put its UK-based operation on hold when the financial crisis hit later that same year. Carnival has already announced a dedicated ship for the Australian market with the Carnival Spirit due to arrive in Australia in October, and believes now is the time to further its expansion into the UK. It will be looking for first-time cruisers and expects an international mix onboard its ex-UK ship while sourcing more UK passengers than it has done in the past. The decision to bring a ship back to the UK will grow the brand in a market where it has dealt primarily with air/sea tour operators in the past. Newly appointed UK managing director Adolfo Perez, a thirty-year Carnival veteran, has thus announced Carnival’s first consumer advertising campaign in the UK for next year. As well as Baltic cruises, Carnival Legend will sail to the Norwegian Fjords and around the British Isles as well as to the Mediterranean. With calls planned in Scotland and Ireland as well, Carnival will be able to showcase its product in those ports as well. Princess Cruises has confirmed that its new 3,600-berth Royal Princess will make its debut at Southampton in June of next year. 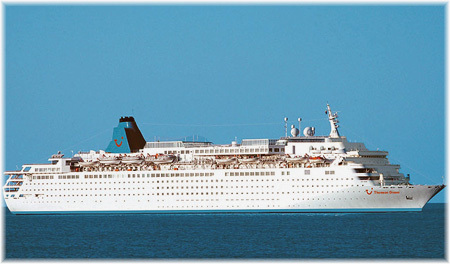 The 141,000-ton ship is the third of the name, following the Finnish-built Royal Princess of 1984, which was one of the first ships to feature multiple balconies, and the last Royal Princess, which now sails as P&O’s Adonia. The latest Royal Princess will leave Southampton June 16, 2013, on her 7-night maiden voyage Iberia cruise which will terminate in This will be preceded by two 3-night preview cruises for the UK market, sailing round trip from Southampton on June 10 and June 13, 2013. The introduction of Royal Princess in Southampton will be followed with great interest locally as P&O Cruises’ next new ship will be largely based on the new design. This new 154,407-ton P&O ship, to be introduced in March 2015, will differ from the Royal Princess and her sister in that she will reintroduce the more traditional concept of two funnels fore and aft. We are all used to reading cruise ship ratings as produced by the usual US sources such as Conde Nast Traveler, Cruise Critic, Porthole magazine, the World Ocean & Cruise Liner Society, etc, but with the growth of the cruise market in Europe, more European sources have started to report in local European markets. We have a look now at two of these European markets, the UK, which is Europe’s largest, and Spain, one of the fastest-growing in the past decade. The UK version of the Cruise Critic 2012 Cruisers’ Choice Awards came up with some rather interesting results earlier this month. First, a ship that was heavily criticised by both passengers and media when she first entered service has substantially upped her game. The 1,506-berth Thomson Dream, which traded until 2010 as Costa Europa, now comes first among UK cruisers in not only the category of Best Mid-Sized Ship but also Best Service, Best Cabins, Best Entertainment and Best Shore Excursions in her category. Her provenance as Home Line’s last Homeric, with good deck space and large dining room and cabins, is now standing her in good stead. Secondly, Celebrity and sister line Azamara, to the exclusion of all others, have cleaned the slate in the Best Value sector, with two Celebrity ships being rated as the best value for large and mid-size ships and the Azamara Quest best value for small ships. And finally, as some observers have already noted, the complete absence of P&O, Princess and Cunard from the top-rated ships is interesting, especially as these votes have been cast by UK cruisers. Last Thursday in Spain, Malaga’s Picasso Museum hosted the Fifth Cruise Excellence Awards, sponsored by the Madrid-based Cruises News Media Group. This event was attended by nearly 200 representatives of the Spanish and European cruise industries as well as guests.